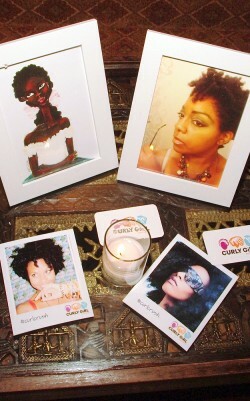 Last Tuesday, December 6, the Curly Girl Collective broke the mold with their ice-breaking Curl Crush curly hair event. 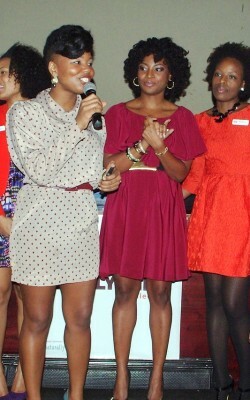 "I'd love nothing more than to attend another event like this one," gushed Chai of Back to Curly. 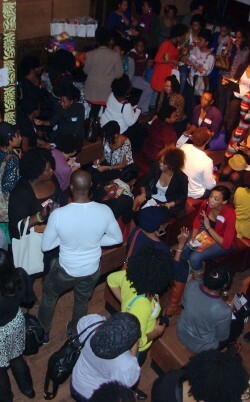 Modeled after "speed dating," Curl Crush connected attendees with one another through a suite of 2-minute conversations geared towards learning about hair. 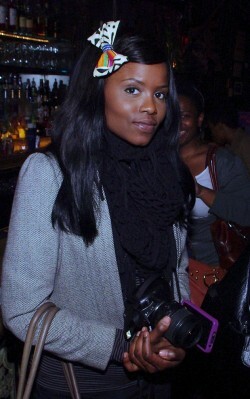 NYC's Taj Lounge was filled with some of the city's most sumptuous curls, notable naturalists, and top stylists and brands including Anthony Dickey of Hair Rules Salon, Karen Tappin-Saunderson of Karen's Body Beautiful, Christina Brown of Love Brown Sugar, Renae Bluitt of In Her Shoes and Nikisha and Cipriana of Urban Bush Babes. "Our goal was to create that in-person interaction, which is typically virtual only, between popular bloggers and our guests," said Julienne Brown, Director of Marketing and Social Media. 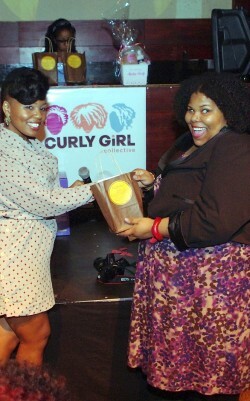 In addition to meeting curl crushes and making new curl friends, attendees also had the opportunity to win big from title sponsor Shea Moisture, as well as two Huetiful steamers and goodie baskets. 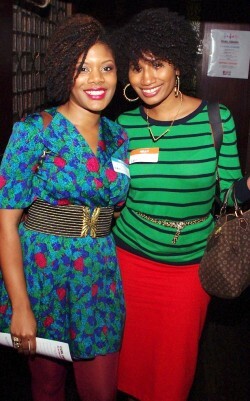 Couldn't make it to the event? Not to worry! See below for a gallery filled with Curl Crush snaps! Honey B. Creations. My Modest Mouth. 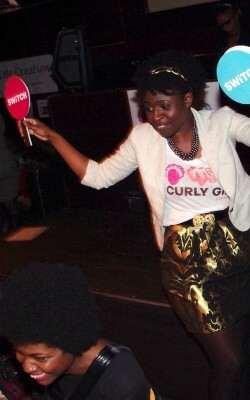 Directing traffic with the switch paddles. 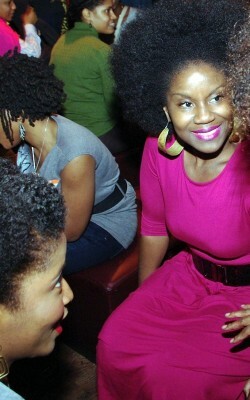 Bird's Eye of the Curl Crush crowd In Her Shoes & I Love My hair blog founders. Karen Tappin of KBB drops curly knowledge. We've got a raffle winner! An Urban Bush Babe and Chescalocs. 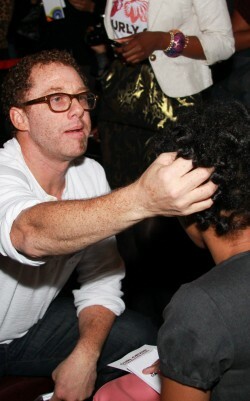 Dickey of Hair Rules works the Curl Crush circuit. 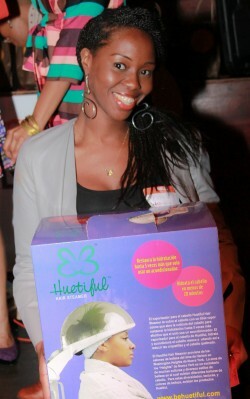 A lucky winner takes home a Huetiful steamer. CGC on stage. 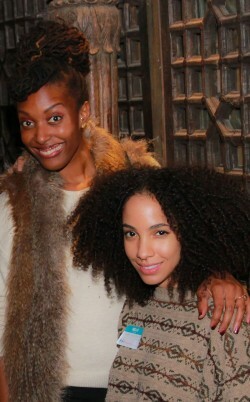 Hair-spiration decks the halls of the event. 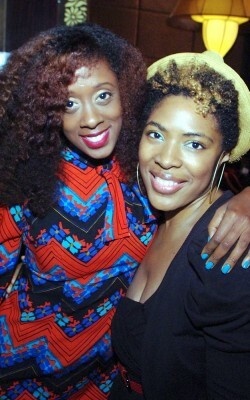 Stay tuned to the Curly Girl Collective as they continue to inspire and innovate within the natural hair community.